To guide the City in making necessary physical improvements, the City Charter requires the Planning Commission to annually recommend a six-year Capital Improvement Program (CIP) to the Board of Estimates. Each year, the Planning Department works with the various City agencies to prepare and present a new six-year program. The first year of the six-year program is the budget year and becomes the basis for the capital component of the Ordinance of Estimates (budget), adopted by City Council. City Council votes to approve the Ordinance of Estimates, and can remove funds from a project or program but cannot add funds for any purpose. Over the past ten years, the capital budget has represented between 15 and 30 percent of the total budget for the year. The operating budget represents the remaining 70 to 85 percent of the budget. 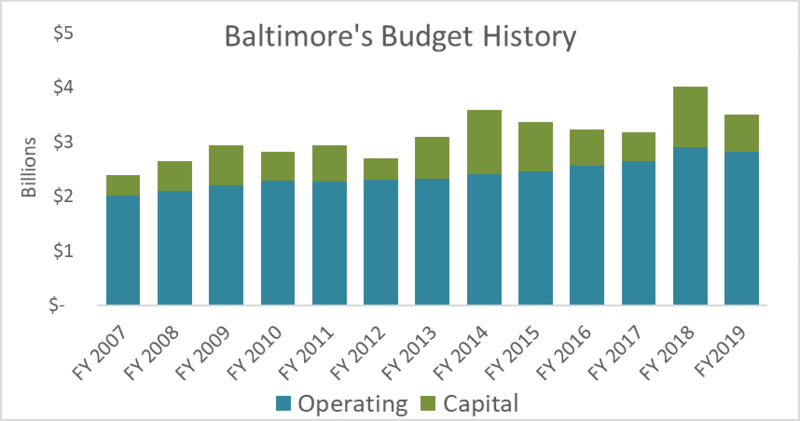 The operating budget generally supports the day-to-day services and activities that keep Baltimore running, including salaries, funding for programs, ongoing maintenance costs at parks and recreation centers, and the like. Click here to learn about the process through which the City plans its future capital improvements, or go straight to the Current Program – Get Involved page to see the most recent six-year Capital Improvement Program projects.